"I hold fast to God's Word daily. My life depends on it, and yours does too." 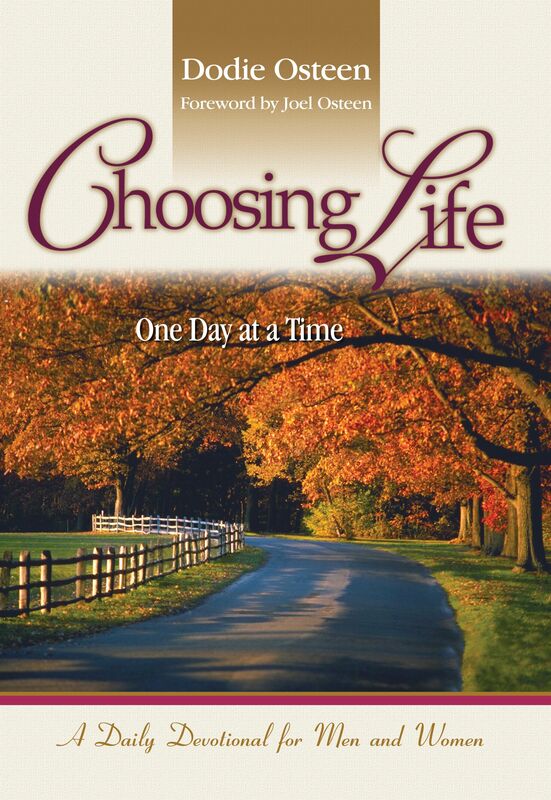 In this inspiring daily devotional, Choosing Life -- One Day at a Time, Dodie Osteen shares her personal spiritual insights -- blending Scriptures with godly exhortations and effective prayers -- to exhort, comfort, and edify both men and women. Her personal reflections from the Word of God will help bring healing, restoration, and godly encouragement to you and your loved ones so that you can choose an abundant life all year long. Throughout her book, Dodie endeavors to strengthen your faith as she imparts powerful truths she has learned in her personal relationship with God. Her book will help you see God as your Savior, Healer, Deliverer, and Blesser, as you choose life . . . one day at a time.